Prague is a beautiful place to be, all you have to do is search for images of the city on the internet and you will be inspired to visit this historic, beer-loving city. The city is revered all over the world for some of its landmark architectural designs which are breathtaking to say the least. Prague also offers the opportunity to see some of the best art in Europe which you can easily see in the city’s museums and art galleries. And don’t forget those Prague beers -you might feel it’s just hype when your friends who have visited Prague keep talking about the beer, but they’re not exaggerating. When you use any of the best crystal wine glasses in Prague, any drink tastes better. 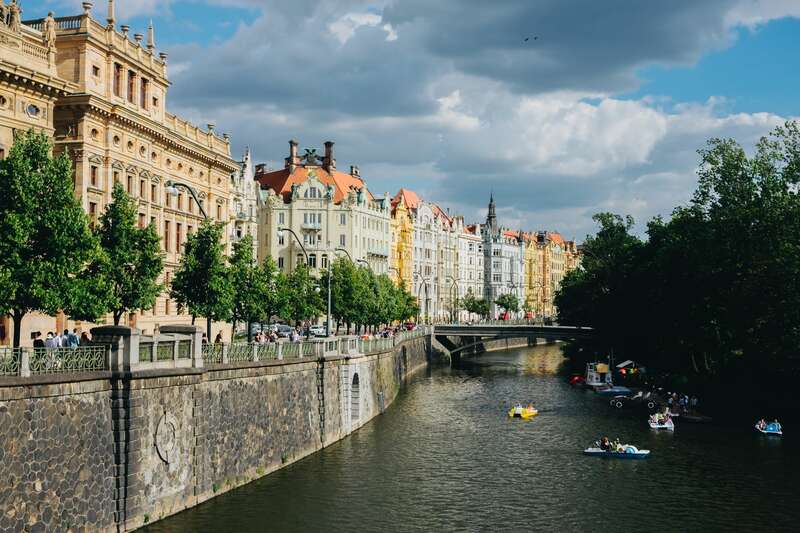 There are many interesting things to do while in Prague, but this article is meant to help you decide on 5 must-do things that you just cannot miss out on when you visit the city. You cannot take a trip to Prague without visiting the Old Town – it would be criminal to miss it. If the rest of Prague might have seen a touch of innovation and technology, the Old Town remains in its pristine state that dates back to some 1000 years ago. The Old Square is the best part of the Old Town where you can easily enjoy all that this part of Prague has to offer. If Old Town is a must-go, it’s also impossible to dodge the Astronomical Clock located at the town hall in the Old Town. The clock is regarded as the oldest living astronomical clock in the world and one of the best preserved forms of medieval history. The spectacle is when the clock strikes to mark the turn of an hour – you cannot miss out on the fascinating sight it presents. This is one of the cheapest tourist attractions you can visit in your whole lifetime (not just while in Prague). In fact, it is free! All you have to do is stroll across this wonderful bridge and have one of the most exhilarating experiences of your lifetime. If a memorable experience is what you seek in Prague, this is another must-do for you. With all of the amazing and breathtaking landmarks in the city, Prague Castle might just rank as number one. It serves as the official residence of the President of the Czech Republic which is just one more intriguing detail about the castle. It has the history, the stories, the architecture, the beauty, the intrigue – everything you need for a fun trip. This seems like something you can easily do anywhere in the world, of course. But any drink taste better in Prague especially in the best crystal wine glasses you can find. Drinking beer or wine is better when taken in the midst of enthusiasts who have a passion for it. One more thing, Prague beers might just be the best in the world, so you cannot even miss out on this. So grab one of the best crystal wine glasses Prague has to offer and enjoy a drink (or two) from it.